Vacations are supposed to be an escape from the daily grind and all of your worries. But what happens when life's troubles decide to tag along for the ride? Here are six types of travel insurance that will protect your vacation and save you money. Travel insurance can come in many forms, some of which you may not be thinking of. You can buy a travel insurance policy to cover a specific risk or vacation, or you can cover all of your trips for a period of time. Travel insurance can be an embedded benefit in many of the places you're already spending money, like credit card annual fees. 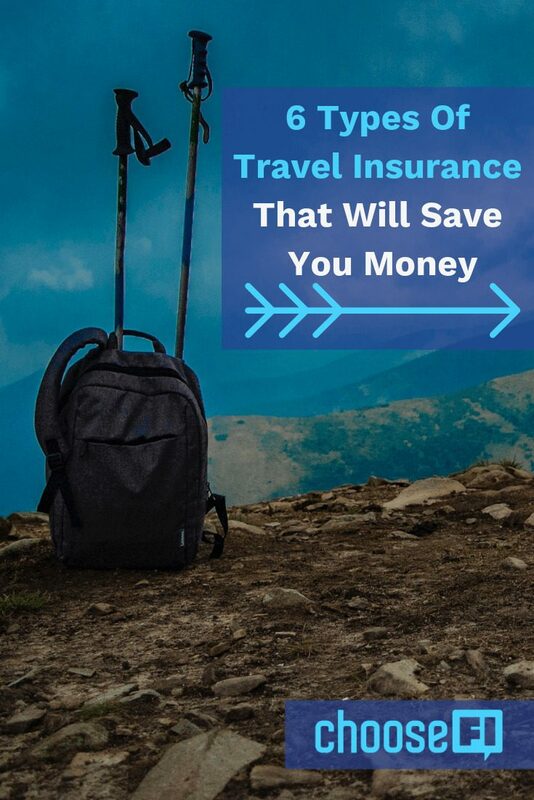 Let's go over the different types of coverage and alternatives to travel insurance that can save you money. To me, rental car insurance is such a racket. You pay sky-high rates for coverage that is rarely used. And some rental car agencies give you the hard sell for policies that cost $11 to $45 a day. Many times, the car insurance rates are higher than the daily rate I'm paying for the actual car. Don't do it! There's a better way. With some premium credit cards, rental car insurance is an included benefit. Simply pay for your rental car with that credit card and you're automatically covered when traveling within the United State. If you're traveling internationally, contact your credit card to confirm your covered benefits. There are two types of credit card-based rental car insurance–primary and secondary. Primary means that the credit card insurance will cover the damage to the rental car without involving your car insurance back home. Credit cards that offer primary rental car insurance include the Chase Sapphire Reserve and United Explorer Card. Secondary insurance covers whatever your auto insurance back home won't cover, which is your deductible in most cases. Take note that primary and secondary rental car insurance from your credit card will only cover damage to the rental car. It does not provide liability insurance that covers damage you cause to property, vehicles, or people. American Express offers rental car insurance for a flat rate for rentals up to 42 days in length if you enroll in the program. Take note that American Express automatically charges for this insurance for any rental car paid for with your American Express credit card. If you travel enough, you'll eventually have a flight delayed or canceled on you. This can cause a domino effect which can ruin a vacation. Airlines are becoming stingy about what they will and won't cover in these situations. Trip delay insurance provides reimbursement for reasonable meals, lodging, toiletries, medication, and other personal use items that you need due to the delay. Every credit card has guidelines for when these benefits kick in. In most cases, the delays need to be six hours or more. And the reimbursements are often limited to $500 per ticket that was paid for (at least partially) with the credit card offering the trip delay benefits. For example, Chase Sapphire Reserve will reimburse you up to $500 per ticket if your flight is delayed more than six hours, or an overnight stay is required. They will reimburse you for expenses such as meals and lodging. If your trip is completely canceled, the card will reimburse you up to $10,000 per person ($20,000 max per trip). The United Explorer Card will reimburse up to $500 per ticket if your flight is delayed more than 12 hours or requires an overnight stay. For a canceled trip they will reimburse up to $1,500 per person ($6,000 per trip max). Delayed and lost bags are a part of travel. I try to keep my bag with me at all times, but sometimes checking a bag is necessary. And, of course, Murphy's Law means that my bag will be delayed on the one time I actually check a bag. Delayed bag protection will reimburse you for the cost of necessary personal and business items while you wait for your checked bag when it’s delayed by your airline. This benefit will usually cover a change of clothes and toiletries up to a maximum amount. Coverage will vary, but $100 a day per family member affected is common. Please remember that you should never check your passport, other critical documents, or valuables. Always keep them with you or in your personal item that you carry on the plane. Both the Chase Sapphire Reserve and the Chase Sapphire Preferred will reimburse you for expenses, such as toiletries and clothing, up to $100 per day if your bag is delayed more than six hours, up to five days. The United Explorer Card will also reimburse you for expenses related to your delayed bag up to $100 per day if your bag is delayed more than six hours. However, this card will only cover you for three days. Click here to compare all our recommended travel reward cards. With a credit card's purchase protection, your purchases can be protected from accidental damage or if they are stolen. The coverage can last up to 120 days from the date of purchase depending on the credit card terms. There are limits per incident and annual maximums that vary based on the credit card that you used, so keep that in mind. 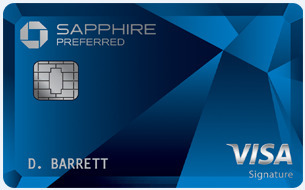 The Chase Sapphire Reserve and United Explorer Card both cover your new purchases for 120 days from damage or theft. They will reimburse you for up to $10,000 per claim. When people think of travel insurance, covering a medical emergency is what comes to mind most often. No matter how good your medical coverage is at home, once you travel internationally, the game changes. If your medical insurance offers any international medical coverage, it is only for emergency medical procedures. The insurance company will most likely require you to pay the bill first, then submit a request for reimbursement. Before your next vacation, call your medical insurance company to confirm what your benefits are and what the process would be in case you need to file a claim. Of all of the travel insurance options, this is the one that concerns me the most. Depending on what your insurance provider says, it may make sense to pay for an international medical insurance policy or a travel insurance policy to cover medical situations. 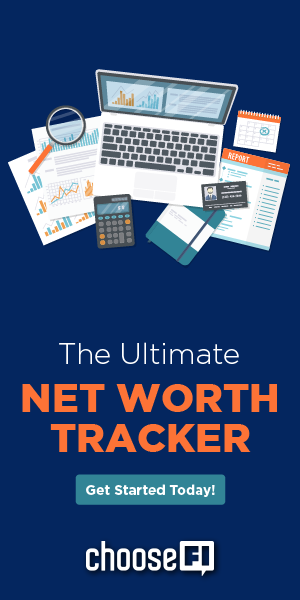 You have a lot of valuable information on your phone, tablet, and laptop. Before traveling with any of those devices be sure to back them up. I configured my devices to automatically back up whenever they connect to wifi. That way I won't lose the latest pictures and documents that I've created. I also like to keep digital copies of passports, birth certificates, and credit cards in secure online locations. This way, if anything is lost or stolen, you can easily download the necessary documents to get a new identification from the consulate or contact the credit card company to rush you a new card. For added security, keep these documents in separate locations online or with different services. Travel insurance policies can be a big chunk of your travel budget if you're not careful. Most of the travel insurance coverage that companies want you to purchase is already included in the things you pay for. Before you shell out your hard-earned money on travel insurance, research the benefits you have to find out if you're already covered and for how much. Then you can make an informed decision about what risks you're willing to take and what travel insurance you need to buy.